Best 8ft Trampoline - Trampoline for Me! Size matters, especially if your house isn’t the biggest place there is. So we all start thinking about the small, functional stuff. I’d like folding chairs, folding this, folding that… Heck, I’d fold my bed if I could, just to save space. I’ve been there. Today I have the luxury of living in a cozy house, but it wasn’t always like that. There were some different times. But I never refused to give up on thing I love doing and things that bring extra happiness in my life – and one of them is a trampoline. I grew up on them. I love jumping on them. I love those moments of free falling, that brief sense of freedom. It was my way of coping with bigger problems in life. But when you’re short on space, you tend to sacrifice things. However, there’s a solution – you just buy smaller things. So you can buy a smaller trampoline. Smaller also means cheaper. Pretty neat, right? Now, you probably don’t like the idea of things being too small. I mean, a 6ft trampoline is so small it’s exclusively for kids. So, you want to pick a bigger one, something you could enjoy as well, but still small? Or you’d just like some more space for your kids? 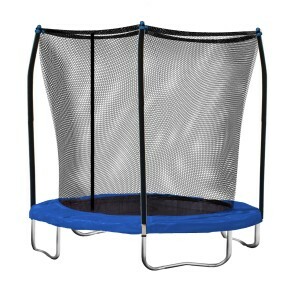 Well, below is the 8ft trampoline review – the very best 8ft trampoline. 8ft in diameter is usually enough to fit two kids. Enjoy your reading and I hope you like it! Now, if your wish is to take this indoors, your wish can be granted. If you can fit it, of course. The only thing I’d suggest is that you wrap some paddings (pick your best) around the legs in order to not damage the floor. Don’t say I didn’t warn you! As we said, Skywalker has some decent safety measures taken. But if you need more than that, maybe you’d like to consider buying this one. Pure Fun really made this one a solid choice, but it comes at a little bigger price tag than the Skywalker. The frame is made of galvanized steel and it has 3 Heavy duty U-Shaped legs – which provide better stability of the whole trampoline. Safety enclosure includes a tight netting and heavy duty zipper access so that it not only protects you or your kids, but it also provides more accessible entry and exit. The padding over the springs is of really good quality so you don’t have to worry about pinching. It is really easy to assemble. Almost as easy as the last one. Still, I’d recommend two persons for the job (and some buffer time, around an hour or two). The advantage of this trampoline is double secured access system which means more safety and better access control. It supports up to 250 pounds at once. 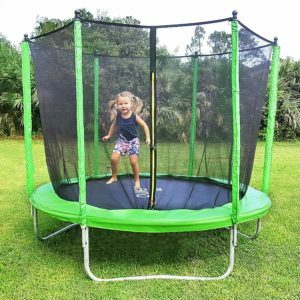 Steel springs are of a much higher quality, so they provide a lot more bouncing potential than the other trampolines in this category. 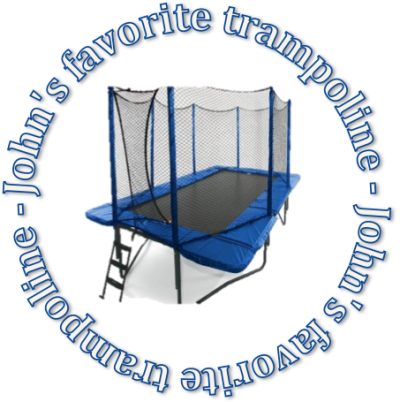 So it is meant to be a source of pure fun, as the name of the company implies, and it is also as safe as a trampoline with springs can be. If you liked my reviews of you think they aren’t really that good, feel free to contact me and tell me what you think! 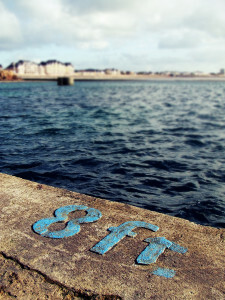 Image Credit: Matt Northam on Flickr.